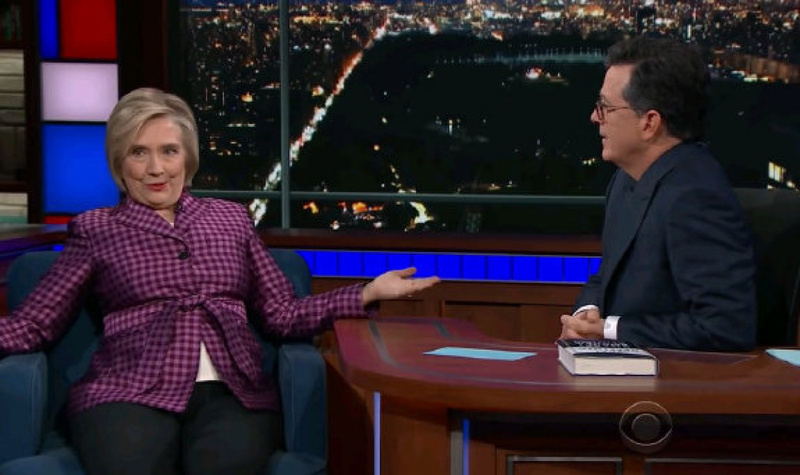 NEW YORK—When Hillary Clinton took the guest’s seat on The Late Show with Stephen Colbert, she was in a mood to put Russian President Vladimir Putin on the psychiatrist’s couch. Clinton said Tuesday night that Putin interfered in the presidential election in part because of her work as U.S. secretary of state, which brought the two into conflict on various occasions. That, she said, evolved into a grudge on his part. She said the fact she’s a woman “does seem to get him agitated.” And she mocked Putin for “manspreading” at one meeting. That’s an aggressive posture where a man sits with legs splayed.